Termites have infested some of the most commonly inhabited regions of the world. 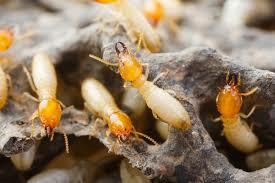 Termites feed on the wood frames and wood of our constructed homes. Not mention the nice fruit trees we have in our yards too! This causes hundreds of millions of dollars worth of property damage every year. When it comes to termite control, it is important in many people’s eyes to have a cost-effective solution that works! 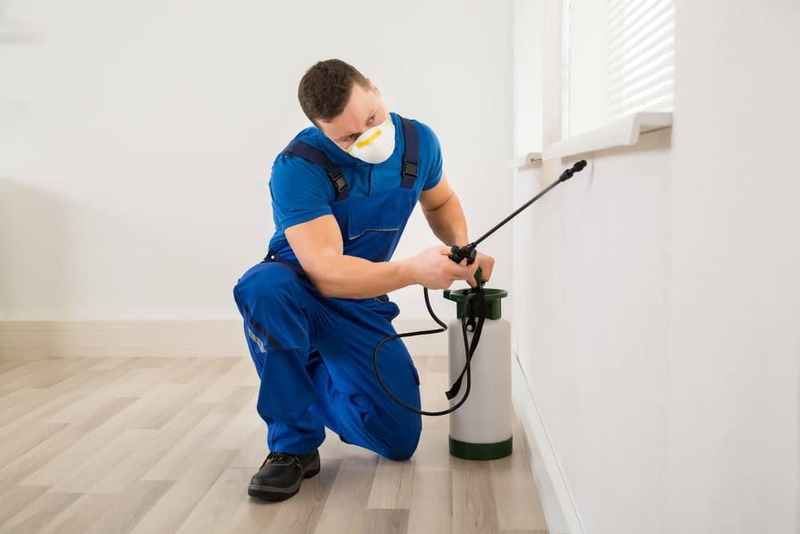 When it comes to the government’s role you can see by clicking here that chemicals remain on the top of their list and as you click through more links you will find that they are helping you select a chemical company to come tent your home and fumigate. We have a more cost-effective solution for you! According to the EPA, “75 percent of U.S. households used at least one pesticide product indoors during the past year. Products used most often are insecticides and disinfectants. Another study suggests that 80 percent of most people’s exposure to pesticides occurs indoors and that measurable levels of up to a dozen pesticides have been found in the air inside homes.” So what this means is that air quality goes from a 10 to a 1 pretty fast when using or even storing pesticides in your home. Asthma is something that is on the rise in children and in our household we noticed the reduction of asthma attacks just by eliminating the use of pesticides in the home and also storing them in the home. Knowing this I constantly tell parents to move their chemicals to somewhere outside of the home. 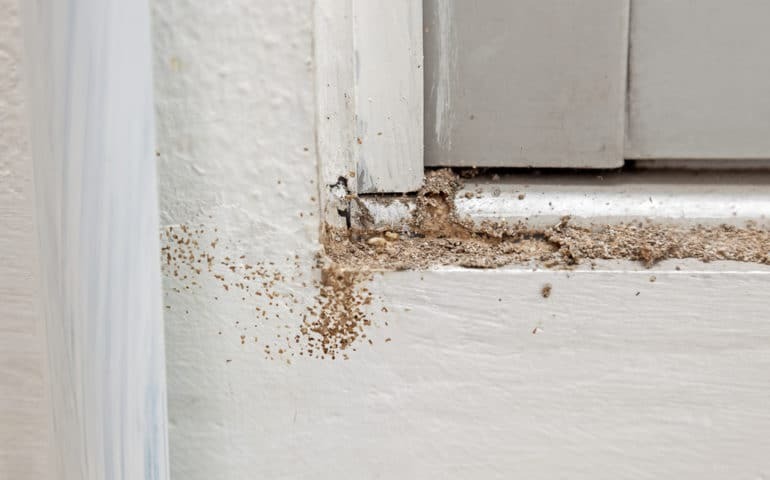 In order for termites to infest a house, there needs to be dry wood and also their needs to be a significant amount of moisture for the colony to thrive. Be sure to check areas of the home like your crawl space, beneath the house, and in areas that may harbor dampness or moisture. If you see a leak or water dripping anywhere, it is time to fix it. Once you get rid of the moisture, move on to sealing your home up. Holes, cracks, and any entrance you can find to the home. It is important to check both above and below ground level, basement, to prevent termites from making an appearance in your home. Identify areas where you think termites will gain access. Take some sealant product and go to work, making sure to seal up those areas very well. Apply Diatomaceous earth in an even and visible application using our applicators to be sure your application is even and not a waste. Focus on the outside foundation of your home and be sure to apply a good 1 foot from the foundation into the lawn. Pay attention to areas that you sealed up on the outside and be sure to apply a thin and visible later there. Another area to pay attention to is underneath decks and other structures like wooden playground equipment in your yard to help with termite control outside the home. Apply diatomaceous earth to any exposed wood and also insulation in both your attic and crawlspace and around any point of entrance. This will make it so if a scouting termite enters your home, it will be coated in DE. The diatomaceous earth will bind to their exoskeleton and start drawing out moisture and lipid oils from their bodies, essential dehydrating them to death. Although Diatomaceous Earth is safe and non-toxic be sure to wear a mask, eye protection, and possibly gloves. Just to keep the product out of your eyes and to keep you from inhaling a massive amount when applying it. As something extra, you get some added protection from other crawling insects as well! If you are in the process of building a home, consider adding diatomaceous earth to the construction process! Distribute diatomaceous earth beneath foundations and inside hollow areas of walls. Also apply before insulating walls, beneath flooring, and behind the ceiling, before they are closed up. This will help add protection against a variety of insects wanting to enjoy your new home as much as you. This increases your termite control 10 fold!